It probably does, but that hasn’t stopped a federal court from taking a closer look at the question. Two mobile developers, Lilith Games and uCool, have tried to make clones of Dota 2 for smartphones and been sued by Valve as a result. Their games, Dota Legends and Heroes Charge respectively, are slimmed down MOBAs that are popular in China. 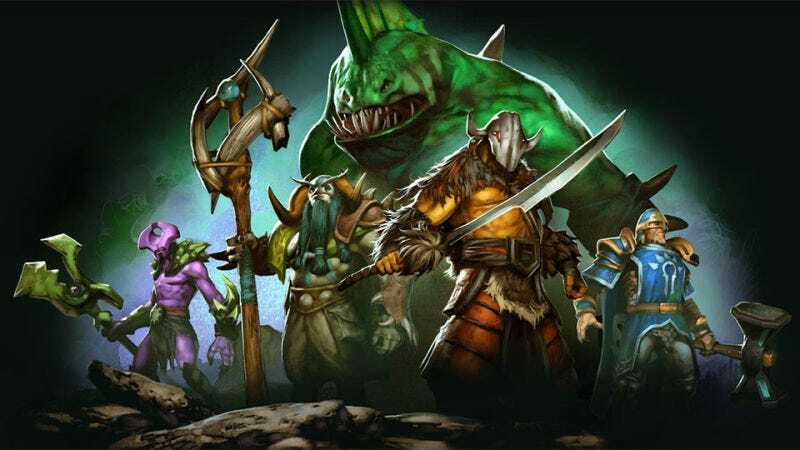 As Ars Technica reported, in response to Valve’s copyright claim against them, uCool has argued that the company doesn’t actually own the source material that Dota is based on, make its claim illegitimate. Dota started originally as a mod for Warcraft 3, making the question of who owns the rights a complicated one. Citing a forum post from 2004, uCool argued that because the original creator of the mod that would eventually evolve into Dota, Eul, had “released” it to the public, the lore and characters are fair game for anyone to use. uCool’s Heroes Charge uses characters straight from the Dota universe. In a court order this week denying uCool’s motion for a summary dismissal of Valve’s suet, Judge Charles Breyer decided that the question of “abandonment,” whether Eul had relinquished his rights to the mod as a result of his forum post, would be reasonable for a jury to pursue given the vagueness of Eul’s statement and the context surrounding it. As a result, the case will move forward. From here, the case will go before a jury to decide the question of who owns the rights to Dota and whether uCool and Lilith Games are in violation of those rights with their respective mobile clones.